Do you want to use your love for food and the unique skills, talents, and gifts that God has given you in a gospel-driven career? Do you want to work with like-minded believers? If so, consider joining our growing team—because we’re hiring! 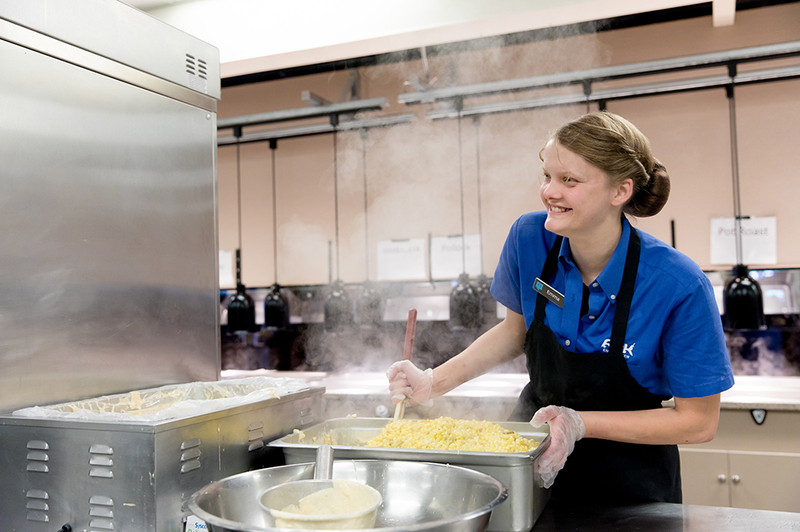 Last month, we introduced you to Nicki and Nick, members of our culinary services team. Today, hear from Emma to find out why she loves working for the Ark Encounter, and then learn more about our open positions. Emma has been with our culinary services team since June 2017. She enjoys working with fellow believers and getting to meet people from all over the world. As a food and beverage lead of guest interaction, she is able to talk with many of our guests and help them with any questions they may have. One of her favorite memories at the Ark Encounter was having a really good conversation with a guest and feeling like she was talking with a family member. A typical day for Emma starts with making sure the dining room is ready for the day. Then she helps the kitchen staff get the buffet set for opening. 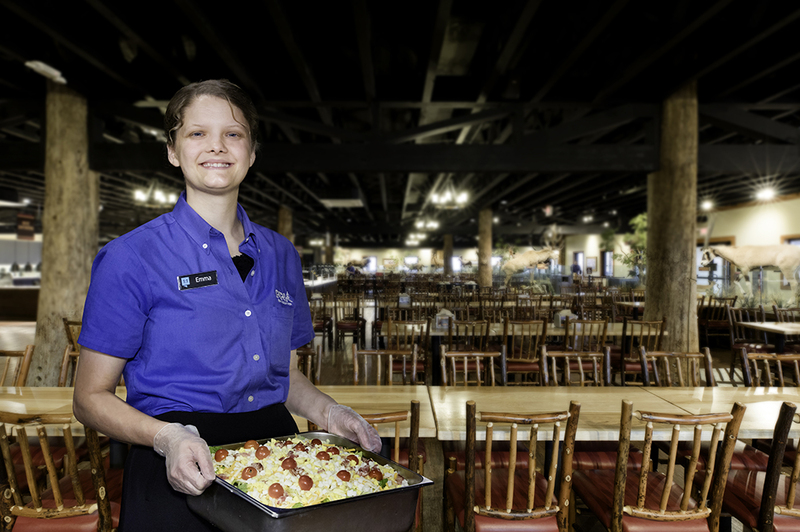 Once Emzara’s Buffet is open, she helps guests with questions, wipes down tables, and takes dishes back to the kitchen. The culinary services team works together to provide a great dining experience for each guest and to help each other in whatever capacity is needed. Join our CEO Ken Ham in Emzara's Buffet as he discusses our open positions with Kellie, who is in charge of the culinary services team, and get a behind-the-scenes look at the kitchen in the video below. We are looking for individuals interested in our full-time, year-round line cook positions positions, which come with competitive wages and 401k benefits. Line cooks are responsible for preparing the food quickly and safely, setting up the buffet area with necessary food, assisting with inventory and stocking, and much more! And we have a number of seasonal positions open in culinary services as well, no matter your skill level. 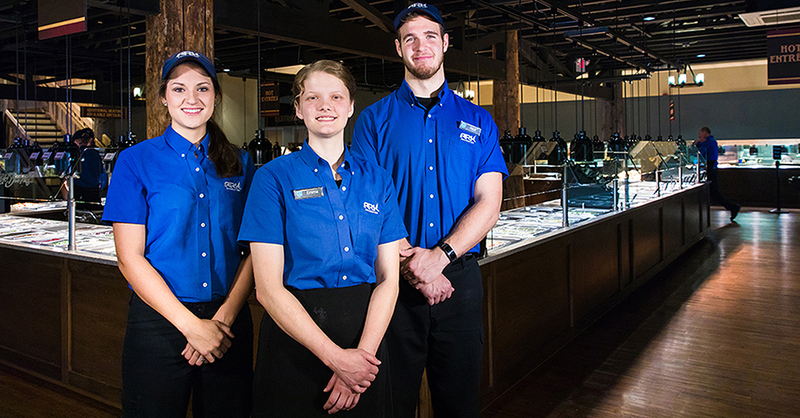 At the Ark Encounter, we also need dining room attendants, dishwashers, and cooks with no professional experience required—just a general love of cooking—along with people to work catering and to work at our off-site kitchen.